Looking for Bottled Water Delivery in Wheaton, MD? Whether you’re looking for the best bottled water or purified water delivery, information about water coolers, distilled water, or spring water, you’ve come to the right place! 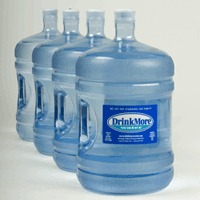 DrinkMore Water is the largest locally owned bottled water company serving Wheaton, Maryland (MD). DrinkMore Water has been providing Wheaton residents with the purest water on the market for over 25 years! If you live in Wheaton, Maryland (MD) and you’re looking for the best bottled water delivery service, you’ve come to the right place. First of all, we’re local – not a big multi-national corporation that doesn’t care about customer service. When it comes to bottled water delivery, that makes a huge difference. We’ve been delivering water to homes and offices in Wheaton for over 25 years. Our water is bottled in a number of different sizes – from easy-to-carry 12oz bottles to 16.9oz bottles and sporty 24oz bottles. We also carry BPA free 3 and 5 Gallon bottles and our bottles have built-in handles so you’ll never spill a drop of water. Stop lugging all those cases and bottles home from the grocery store!! When it comes to water, purity should be the most important consideration. Pure water tastes better and it’s better for you! DrinkMore Water’s 10-stage purification system removes 99.5% of all impurities making DrinkMore Water one of the purest waters on the planet. Almost every day you can read something about the harmful effects of chemical contaminants, pesticides and herbicides found in the tapwater. The thoroughness of our purification system puts your mind at ease! It’s no wonder we’ve become the number one locally owned bottled water company serving the Wheaton Wheaton area. Never had our water? Sign up today and we’ll offer you your first four 5 gallon bottles at no charge. Customers often seek distilled water for various types of equipment – like autoclaves found at a dentist’s office. Distillation is one of the oldest forms of water purification. This is why many instruction manuals for equipment requiring low or no mineral water suggest that you need to use distilled water in their equipment. DrinkMore Water is actually perfect for use in such equipment and many of the Wheaton area’s leading dentists use DrinkMore Water for exactly this reason (as well as to keep themselves and their patients well-hydrated!). All of the metals and heavy minerals that can foul sensitive equipment (like autoclaves and your body!!) are exactly what our purification process removes. It used to be that you could only get a water cooler through your local bottled water delivery company. These days, however, you can get one almost anywhere – from any one of literally dozens of stores within a few miles from Wheaton, Maryland (MD). But buyer beware! Most of the coolers you’ll find at your local retail store in Wheaton, Maryland are inexpensive units made in China. The good news is they are cheap! The bad news is that they are CHEAP!! They often use cheap plastic parts made from very low grades of plastic. What does this mean to you? It means you’ll have a cooler where parts like spigots frequently snap and then cannot be replaced. Or worse, you’ll get your brand new cooler, get your first delivery of water, take a big sip and get the unpleasant surprise taste of plastic. That taste isn’t from your water or from the bottles, but from your new water cooler’s soft plastic reservoir that holds the water until it is ready to be dispensed. At DrinkMore Water, we don’t even bother carrying these low-end cheap water coolers. It’s not worth it. Our coolers are picked specifically for their reliability and durability. We offer rental coolers, office water coolers and water cooler dispensers for rent or purchase. Every water cooler dispenser has a built-in spill proof system to prevent injury and spilled water. Wheaton, Maryland is home to some pretty high-end floors! Don’t ruin yours with spilled water from a lousy cooler purchased from the local retail store. All of our purchased water coolers come with a 1-year warranty and we handle any performance issue on rental units as they remain ours for the duration of the rental. Another adjective which frequently pops up in spring water advertising is “natural”. While this term may conjure up images of a pristine wilderness setting, the fact is that “natural” can mean just about anything. Great Falls, just down the road from Wheaton, Maryland (MD) is a very “natural” setting. But what exactly is the term “natural” referring to? This vague term could actually apply to Wheaton resident’s tap water since the Wheaton River is most certainly a “natural” source. It may be natural, but I don’t know many people who would go down to the river and scoop themselves a refreshing glass of “pure and natural” river water! “Protected source” is yet another spring water sales claim that can be misinterpreted. When most people hear this term, they think about a remote mountain spring, far away from the pollution of civilization. The reality is more often a well-head surrounded by chain link fence. Hence, the “protected” source! One of the most popular spring waters consumed by many Wheaton, Maryland (MD) residents actually comes from a collection of springs in Southern PA. Have you ever driven down the PA Turnpike? While some parts are pretty, we’re pretty sure they aren’t remote enough to be pristine. As you can tell, we’re not big fans of spring water. If you’re going to spend money on bottled water – the single most important consideration is getting the highest purity bottled water out there – and DrinkMore Water is exactly that. Did you know that many spring waters actually have more impurities and contaminants than your tap water? Most people don’t know that. Just because spring water comes out of the ground – does not mean it’s pure or better. Much of the Wheaton River comes from springs! !